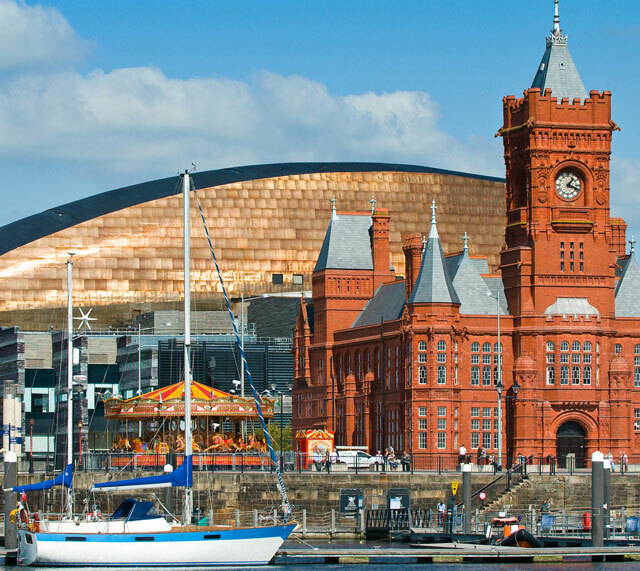 Why Start a Business in Cardiff? Cardiff’s business climate and potential for future economic growth make it one of the UK’s most exciting up and coming cities for startups, freelancers and entrepreneurs. Between Cardiff and Swansea, there are more than 17,000 digital jobs and a digital GVA of £392 million with a tech sector growth potential of a huge 76%. New business survival rate over five years is at a very respectable 41.4% which puts Cardiff above Birmingham, Manchester and Liverpool. Cardiff University,Cardiff Metropolitan, and the University of South Wales are all producing strong pools of skilled and creative talent. As part of the respected Russell Group, Cardiff University is renowned for its professional and financial services courses, which keenly reflect the city’s strengths and ambitions.The University of South Wales, in particular, has a huge breadth of creative industry related courses that attract some of the most innovative and imaginative young minds in the UK. Cardiff University runs a program facilitating direct collaboration with businesses, and Cardiff Metropolitan will open a new city centre School of Technologies in 2020, specialising in design technologies, data science and digital media. As both the commercial heart and capital of Wales, Cardiff has an established and well-developed business sector. Traditional businesses such as insurance brokers and banks are thriving alongside innovative technology businesses that are benefiting from intricate support networks and effective investment strategies. In 2016, the UK government in partnership with the Welsh government and 10 key local authorities agreed on an investment deal for the Cardiff Capital Region worth £1.28bn. This 20-year deal is designed to deliver a variety of key programs, including increasing GVA by 5% and improving regional business governance. The Cardiff Central Enterprise Zone is currently under development and includes a range of ambitious investment and regeneration projects. Initiatives, such as Invest in Cardiff, ensure that the city remains one of the UK’s fastest growing economies with the highest private sector employment growth of all the UK’s core cities over a ten year period. Creative Cardiff is a Cardiff University initiative with over 2,000 members that serves to connect and grow the city’s creative economy by helping creative businesses network with each other and like-minded organisations, as well as running regular events.